Private Hell 36 (1954) - Classic Movies on DVD. 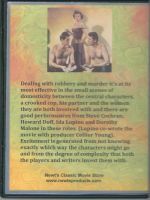 L.A. police detectives Cal Bruner (Steve Cochran) and Jack Farnham (Howard Duff) get in over their heads when they decide to split up thousands of dollars they found on a recently killed counterfeiter. To make matters worse, they are assigned by their police captain to look for the missing cash. Things get even worse when one cop gets romantically involved with Lili Marlowe (Ida Lupino), a money-hungry nightclub singer. Farnham decides to turn honest and hand the money over to his superiors, but the other cop decides to take it all. Private Hell 36 is one of that special brand of B noir that just revels in the claustrophobic tawdriness of its characters. But it’s also one of those—like Crime Wave and Pushover—that is at least twice as smart and potent as its gears-turning plot first reveals. Shot through with the 50s-noir nihilism of Kiss Me Deadly, it’s also a film very much of its moment—that 50s midpoint that, arguably, summons up the world of standard love-gone-wrong big-city noir only to smash it against Eisenhower-era ideals: suburbia, security, family. Directed with grim, artful efficiency by Don Siegel (with a young Sam Peckinpah as dialogue director), Private Hell 36 was one of the last films to come from The Filmmakers, the independent production company created by Ida Lupino and producer Collier Young, Lupino’s second husband. The couple coscripted Private Hell 36, but by 1954, the year it was released, the company was on its last legs and Lupino and Young had divorced. 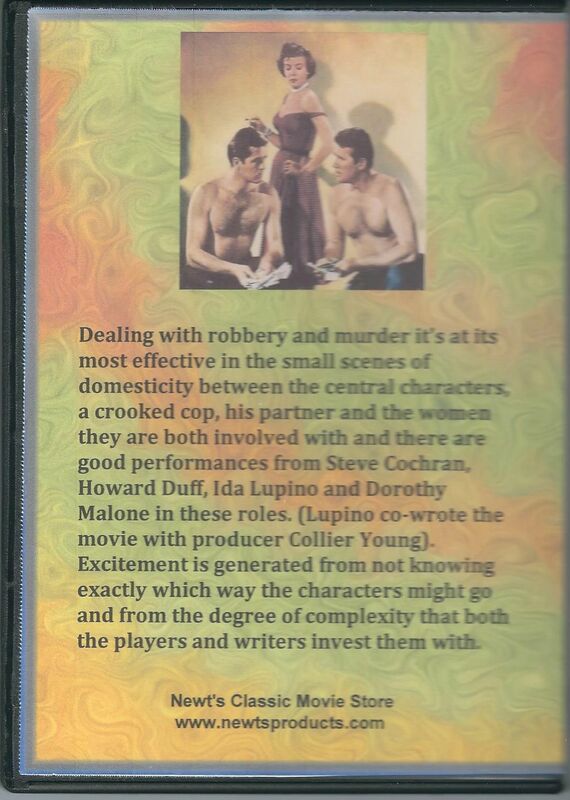 Completing the roundelay, the movie boasts Lupino’s new husband, Howard Duff, as one of the leads. Don Siegel reports a set suffused with alcohol and misery, which seems perfectly suited for a film drunk on its own darkness. It’s hard to watch the nightclub interview scene with Lupino, Duff and Steve Cochran talking in front of three enormous, novelty bottles of booze and beer and not wonder if Siegel is making a winking aside. (An equally great meta moment has Duff’s wife scold him for drinking too much, to which a guilt-ridden, sneering Duff replies, “It’s supposed to be a party, isn’t it?”).